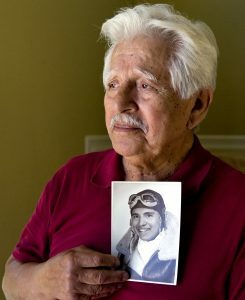 Like tens of thousands of other young Americans in World War II, Bob Ruiz answered his nation’s call by enlisting in the US Army Air Force. 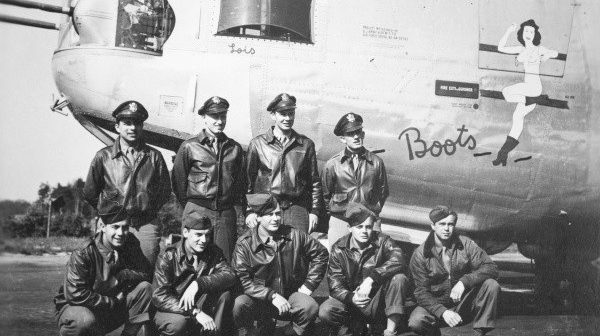 On completion of flight training, he was assigned to the 389th Bomb Group as a pilot flying his Consolidated B-24 Liberator in many extremely hazardous missions over the German heartland. 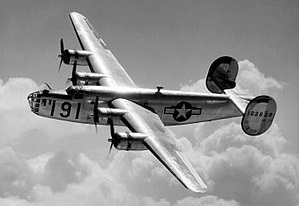 Of his 35 missions, perhaps the most harrowing was a massed bomber attack over Berlin. While successfully completing his bomb run, his aircraft was struck multiple times by enemy anti-aircraft fire. He nursed his crippled airplane all the way back to England with only two of his four engines still functioning. Barely clearing the English coastline and with several of the aircraft’s control systems malfunctioning, he executed a successful emergency landing. 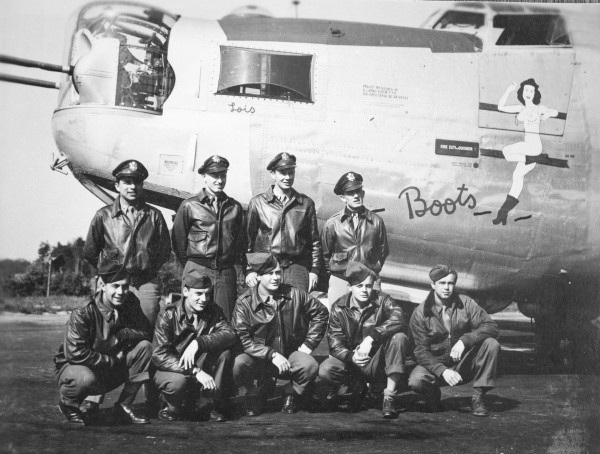 For this, and several other courageous actions, he was awarded the Distinguished Flying Cross. Join us to hear the personal account of this remarkable American war hero.